I am doing a very exciting event next Saturday 5th May 2012, it's the first British ETSY event ever and I have a stand there. 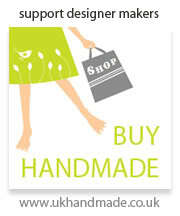 I'm really looking forward to meeting lots of other ETSY folks to see what they are doing. There is also going to be a table with lots of other sellers cards on and computers with ETSY shops. 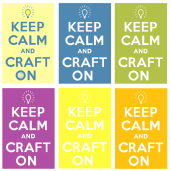 It's going to be an ETSY-FEST! It all sounds great and seems so well organised by Paula Newman who I am really looking forward to meeting. My daughter has even turned down the opportunity to go to a party so she can come and help and is planning to make me some special things to sell! The only slight downside is it is almost a three hour drive and starts at 10am so I think it will probably be a sleepless night and a very early start but I think the adrenaline will kick in and hopefully the buzz of many happy customers will keep me awake! The event is at Seaham in County Durham, for more info please do visit keepcalmevents.blogspot.com and if anyone is going to be there do please come and say hi, it would be lovely to meet you! All the artwork and text on this blog belong to SamMiller and Paula Newman KCCO. They must not be copied, used or reproduced without the permission of the artists. Thank you.